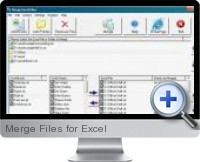 Merge Files for Excel simplifies the consolidation of multiple Excel workbooks and worksheets thereby saving time and resources. Merge multiple Excel sheets into one new sheet. Merge multiple Excel workbooks into one new workbook (with multiple worksheets).